A tasty and quick dinner recipe that can be made simply as chicken, or as a casserole. Spray a 7×11″ baking dish with nonstick spray, then line the dish with the raw chicken tenderloins. Melt the Velveeta in a large microwave safe bowl. 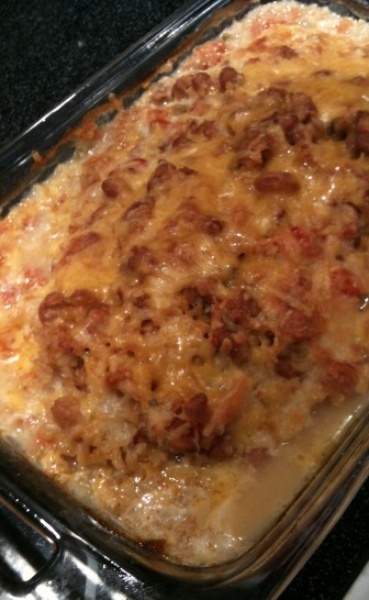 Stir in the yogurt, Rotel, and chili powder.